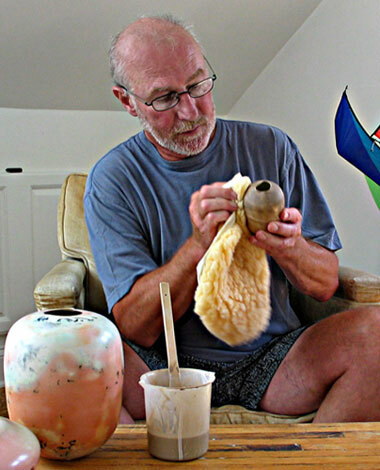 John L. Hull was born in Connecticut and has been exhibiting his pottery since 1971. He received a B.A. from Lycoming College in Art and Psychology, and attended the New York State College of Ceramics at Alfred. 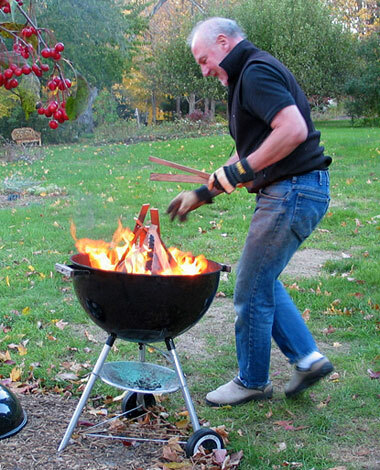 He earned his masters degree from the University of Hartford Art School. 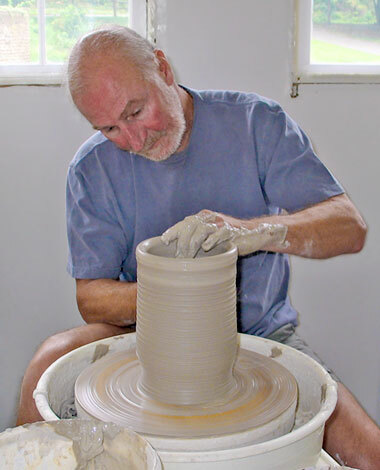 John taught Ceramics and Video as an Art Form at Glastonbury High School from 1972 to 2005. 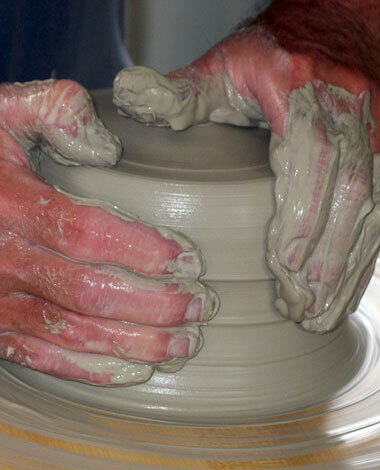 Additionally, he taught Clay at Greater Hartford Community College and currently teaches at Wesleyan Potters in Middletown, CT.
John has been a participant in numerous shows. He has been a part of the American Craft Council Shows at Rhinebeck, W. Springfield, Baltimore, San Francisco, and the Philadelphia Art Museum Craft Show, as well as many other shows throughout the Northeast. He has exhibited in galleries in 17 states. Presently his work can be seen at the Nilsson Gallery in Chester, CT; Jessica Hayden Fine Art & Design in Newport, RI; Silvermine Guild Art Center in New Canaan, CT; The Gallery at Wesleyan Potters in Middletown, CT; and Clouds Gallery in Woodstock, NY. John’s current work in porcelain and Terra Sigilatta is exciting, fresh and inspirationally unique. Each masterfully crafted object is individual in character and a direct expression of his own personal aesthetic.